Analog and digital sensor signals can now be reliably transmitted by radio. DATAEAGLE – the Bluetooth low energy interface for sensors. 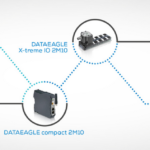 The IO distribution box DATEAGLE X-treme IO 2730 gives you the opportunity to transform cabled sensors into “wireless” sensors. If you need to deploy sensors in spaces that are cramped or difficult to reach, or if you work with mobile machinery, the DATEAGLE X-treme IO 2730 may be the device you need. 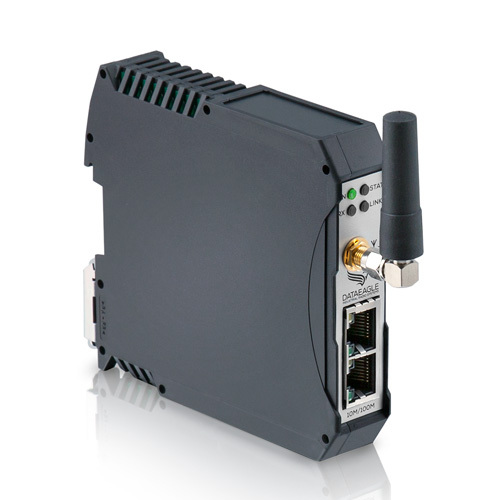 Together with its counterpart, the DATAEAGLE compact 2730 gateway, it wirelessly integrates sensor measurements into the control unit or into the cloud. The DATAEAGLE 2730 gateway is designed to be the optimal interface between sensors and control unit. You can choose from a variety of interfaces: Profibus DP, Profinet, Ethernet IP, OPC/UA, Modbus TCP, POWERLINK, sercos, CANopen, EtherCAT and Devicenet. Further protocols such as IO-Link are currently being developed. Space-saving: IP20 for direct installation in the control cabinet. 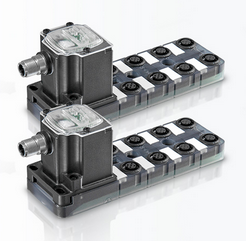 Are you looking for a radio interface for sensors? The product will be available soon, let us know and we will keep you up to date.